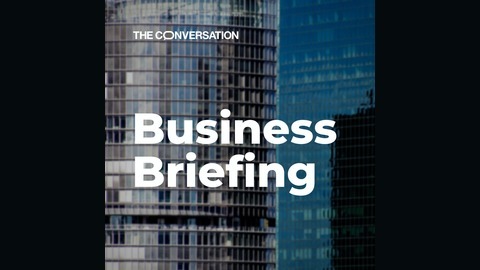 The Conversation editors, Jenni Henderson and Josh Nicholas, delve into a new topic every week, unearthing the latest business and economic analysis from our best academics. When Katherine Hunt’s dad asked her whether or not he should invest in Bitcoin, alarm bells rang, first she thought “he’s a musician”. Hunt is a lecturer in accounting at the Griffith Business School, and as someone who knows the five stages of a bubble and crash, she was worried when it seemed everyone was thinking they needed to “get in on” Bitcoin. “The stock market is a manifestation of the psychology of everyone who is investing, so of course there is going to be these crazy stages,” Hunt says. There is a boom, as momentum behind a new stock or asset speeds up and the media starts to cover it, fuelling its price rise. Then the euphoria sets in, the value of the asset skyrockets and people start to make a profit. But looming around the corner is the panic. Investors feel the last phase of a crash far more than they do the elation of the price rising, Hunt says. Panic breeds more panic and the price falls. Hunt is seeing this pattern play out with the stocks of the more well known gig economy businesses like Airbnb and Uber. These businesses now enjoy the privilege of being the only, or one of a few of their kind, in the marketplace. But Hunt says this can’t last. “In an open market that’s not the case at all, there’s always going to be competition and these companies will fall. It’s just probably that they’ll fall in 30 or 40 years, not necessarily tomorrow,” she says. Of course this is all easier to see in hindsight. John Crosby, now a senior lecturer in finance at the University of Technology Sydney, was once working as an investment banker at Lloyds of London in 2007 when he noticed a news story on losses financial services company HSBC was reporting from its subprime mortgages. “I thought, that could be quite bad,” Crosby recalls. At the time volatility was low and it seemed like everything was going along fine. But Crosby overheard a coworker who looked after the banks’ various branches asking people to move any sums to deposit to London. “That wasn’t normal right? It was perfectly normal that you did business with anybody you wanted to, unless there was a real credit risk issue with the bank,” he says. Crosby realises now that his coworker knew other banks were carrying toxic debt that would eventually kick off the global financial crisis. When it came to 2008 the real problems became clear and it was more of a question of which bank would fall next, he says. “People were way too complacent before the crisis and then during the crisis it’s one of blind panic, thinking everyday things are going to get worse. Whereas in reality there was light at the end of the tunnel,” Crosby says. By then Crosby was working at financial services company UBS and thousands of people were being laid off. In 2009 the company decided to hire half of those employees back. The benefit of hindsight also shows what sort of speculation leads to market crashes. Before crashes were well understood, economists had to grapple with what they thought might be causing a crash. In the 19th century, economist William Stanley Jevons believed that sunspots (hyperactive radiation on the sun) could be the key to understanding crashes. “He was interested to find out that the cycle of sunspots was very similar…as the trade cycle back on earth,” says Simon Ville, a professor of economic and business history at the University of Wollongong. Of course this theory was later discredited, but there have been bubbles over some very ordinary assets in the past. Ville explains that tulips were at the centre of the first market bubble and crash in recorded history. Tulips became high fashion in the Netherlands, in the early 17th century, but because it took a while for these plants to grow it was very much like the future markets we see today in modern finance. “That inevitably creates a sense of uncertainty and a sense of speculation, ‘what are you actually buying? Will you get the full value of what you’re paying for?’,” Ville says. Of course people started paying more and more for tulips, until it took someone’s life savings to buy one bulb. Ultimately there was a point where euphoria turned to panic and the climate changed from optimism to pessimism. This is when the price crashed, and the bubble burst. 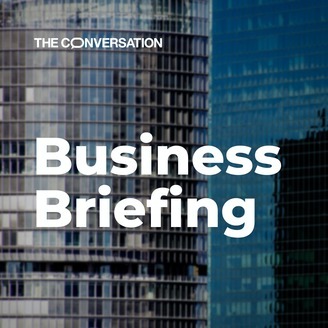 Business Briefing: are our standards dropping in the workplace?